In the prologue of a new book called “The Rite-The Making of an Exorcist” (2009- Random House/Doubleday Inc), journalist Matt Baglio describes an exorcism of a 35 year old woman named 'Anna' in Italy in 2005. “The exorcism had been going on for the better part of an hour, and the strain was beginning to show on everyone. Should he continue? 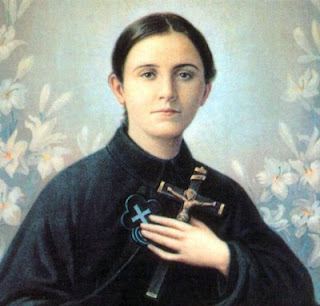 The exorcist felt a momentary ray of hope, knowing from past exorcisms that this was the demon’s code to describe Saint Gemma Galgani.‘And, the little white one from Albania!’ the demon roared. ‘Mother Teresa of Calcutta?’ The exorcist asked. The appearence of the Blessed Mother seemed to make the demon more angry, but at the same time made him weaker, almost powerless. Momentarily coming back to her senses Anna said- "A tear from Mary is all it took," before lapsing back into a trance. "The Rite -The making of an Exorcist" tells the true story of an American Priest, Father Gary Thomas, who in 2005 was appointed by his bishop to become the official exorcist for the Diocese of San Jose, California. The book details his year long stay in Rome for study and training to become an exorcist. The author, freelance reporter and journalist Matt Baglio, tells Father Gary's story in a third person, eyewitness reporting style. The book is a simple and engaging “matter-of-fact” look at the life, training, and experiences of a modern exorcist. Padre Pio and Wojtyla looked at each other with great respect. Their friendship, which existed on earth, continued in heaven. Wojtyla takes a step towards me. He is tall, strong, not too young but not old either, dressed in white, dressed as a Pope. His face was radiant, giving off light in a way I can’t describe. An exorcist at the Monastery-Sanctuary of Saint GemmaEncouraged and edified by this recent account of the assistance of Saint Gemma in the battle against evil, I was prompted to contact Padre Alfredo Pallotta C.P., a Passionist Priest who, until 2007 was for 13 years the Chaplain at the Monastery-Sanctuary of Saint Gemma in Lucca, Italy. Interestingly, Padre Alfredo is also a longtime exorcist, especially assigned to this ministry by the local Bishop. So, in light of his experience in the battle against evil and his extraordinary devotion to Saint Gemma, I decided to contact Padre Alfredo for a written interview, and he kindly replied to my questions. 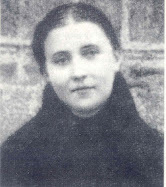 “She [Saint Gemma Galgani] has often been near me in the exorcisms, above all when I carried them out in her Sanctuary. She was present to help me in fighting the Fiend who had so often appeared her in life. The demon often informed me of her presence, calling her the “stigmatized”. I am halfway done reading this book. I stumbled upon your blog accidentally, and I am very grateful for doing so. 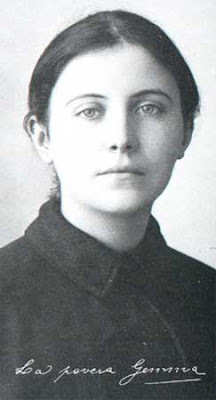 Thank you for spreading the message and devotion of St. Gemma Galgani. I hope to share her with my family and friends. God bless. It is a pleasure to meet you. Thanks so much for your comments. I am glad to hear that you are enjoying the website. It is really a "work of love" so to speak. Thanks for the link to the video. Yes, Padre Alfred Pallotta is very devoted to St Gemma. In his kind letter to me he mentioned some of the booklets and prayers that he wrote over the years about and concerning Saint Gemma. I am going to publish his letter along with the info about his booklets in Part 2 of this article. "I have to say that when my friend read the very same passage you have on the site, I became really emotional - overwhelmed with gratitude - a "that's my girl" sort of pride! 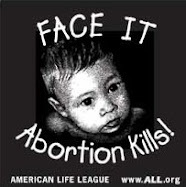 When Mother Teresa and John Paul II were added, I could have used a fresh box of kleenex!" "I am smiling right now from ear to ear! That is EXACTLY what I thought too when I read it...I said to myself- "That's my girl Gemma! You tell that demon where to go in the name of your Jesus!!! It was definitely a "proud" moment, God forgive me!....Not long after reading and then writing these three articles, I was driving in the car thinking it all over and I said to her [St Gemma] smiling - 'so they [meaning the demons] call you "the jinx" and also "the stigmatised", so what do you think of that, Gemma!!! ....and, I could picture her smiling at that one! But really, her intercession against the demons is not surprising, given all her battles with them during her lifetime. In fact, later in the book "The Rite- the Making of a Modern Exorcist", the author, Matt Baglio, points out that because during her lifetime St Gemma fought so often with the devil, she is often invoked against the demons by those who are oppressed by them." What an invitation to join in the chorus! My eyes popped out and my heart pounded when I read that Gemma, Teresa of Calcutta and JPII came! Then I wondered where Padre Pio was....and felt my soul smiling in peace. Yes, I think we are all invited to join the chorus of the Saints! i have a deep concern for my 14 year old daughter eileen gemma my husband hs encouraged her to spend the summer reading just harry potter books. i try to say how wrong it is, but then he tells me something is wrong with me. please pray. thank you!!!!!!! As for myself, I have been lucky thusfar that my kids have not been interested in Harry Potter, thank God. Is your husband a Christian? If so, Pastors of numerous denominations have spoken out against the Potter books, (as you probaly already know), so perhps you can print a few of these out and show it to him. He need not take your word for it, as many religious leaders have spoken against the Potter books. My feeling is though, that perhaps you should not say anything more about it. Just pray with confidence to God and I am certain that He will arrange things so that this will soon pass. I take what is probably a Jesuit approach. READ IT WITH HER!! As you do so, point out the times Harry is NOT acting heroically, but rewarded for evil. There are tons. If you know anything about spells, magic (always a perversion of the good), point out how the author is teaching these. Why? When small, I forbade my daughter to have anything to do with Harry Potter. But what can you do when kids go to someone's house, or a drop-in sitting service? You can't be everywhere. But you can teach them to judge what is good and what is bad. I read the first novel so I could judge for myself. (I have a PhD in English.) In the first scene, I was struck by the unnecessary nastiness in the depiction of Harry's relatives -- far beyond what you would see in Dickens, and without any compassion for the character. I found this disturbing, and in spite of the delightful wordplay, use of classical references and so on, it all seemed just a bit "off." Even without the problem that they are studying to be witches, the books are just another Tom Brown's Schooldays, an expression of that desire to be one of the privileged (an English boy of a family wealthy enough to send him off to boarding school). What is that but envy? Another tactic would be: use compare and contrast. Find good examples (like Lord of the Rings) that you can also interject. Next to real literature, Rowlings suffers. God bless you! 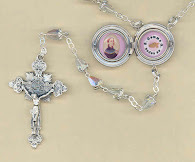 I have been known to frequent your work with respect to the miracles of the saints and especially that of St. Gemma. I must, however, express my concerns about Fr. Thomas and some of what is published above. Let me make it known that I do not suppose to be anybody. I, in fact, am only a prodigal once lost and now found, Deo Gratias. In the process of great reading, prayer and reflection, one has to ask himself what has happened to the Church over the last 50 years. Without going into any more detail than necessary for a blog comment board, I will confess that I do not believe that Pope John Paul II was "the Great" like most people do. That statement alone will qualify me, in most people's eyes, as some kind of lunatic, heretic, schismatic, etc. But the fact of the matter is that the Assisi Convention of 1986 is perhaps the most abominable event that any Pope in history has taken part in. It was a direct violation of the First Commandment. And unfortunately, that is just the tip of the iceberg. It is the great culmination of the manifest religious indifference prominent in post-conciliar theology and [hetero]praxis. This event alone, isolated, is enough to add grave doubt to the alleged saintly nature of the late pontiff. How are we supposed to believe that a man who allowed voodoo (satanic) incantations to be practiced at the aforementioned gathering, who stood by as a statue of the Buddha was placed on the Tabernacle of our Lord Jesus Christ, could now be some great posthumous terror of demons when he welcomed them with open arms previously? Unfortunately, while undoubtedly great humanitarians, both Pope John Paul II and Mother Theresa were guilty of such practice. The ecumenical (so-called) peace gatherings, prayer ceremonies, etc. are nothing more than the summit of freemasonic ideology which has been slowly introduced and coarsing through the veins of Holy Mother Church since the French Revolution. Now, beyond this, our Lord told us we could know good and evil "by its fruits." Look at the fruits of the Church since the Second Vatican Council. Furthermore, I have listened to some of Fr. Thomas' talk on exorcism via YouTube, and...gosh at the risk of people accusing me of "judging," well I just don't see the kind of pious authority present in him that one would imagine in the likes of those who herald St. Michael and St. Benedict as their patrons of holy work. At the 6:30 mark of the video called "Exorcist Tells His Story - Fr. Gary Thomas," he essentially dismisses any substantial difference between the Crucifix and the Cross. 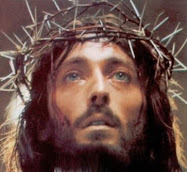 Any Catholic ought to know that one of the differences between Catholicism and Protestantism is that of the glory of suffering, as described in your work (especially about St. Gemma!). Protestants reject this. They put all of their emphasis on the Resurrection and ignore the Crucifixion except insofar as they believe it was their one-time redemptive ticket which should now just sort of be conveniently disregarded because it's too gloomy and sad. The Crucifix and Cross are infinitely different when it comes to their use by Catholics and Protestants. The saga of this priest's life has been made into a mainstream movie. A mainstream movie which made $$$$$. I'm sorry, but that just oozes doubt with respect to any genuineness or authentic holiness. I wish you continuing blessings on your apostolate of St. Gemma, but Christian charity compelled me to share what I hope will resonate with you in your own prayer and discernment. Thank you for your very thoughtful commentary. I sincerely appreciate it. I too have reflected on many of the points and concerns that you have brought forth, however I have definitely come to a different conclusion that yours, which I will briefly share with you if you don't mind. The Catholic church itself is perfect in the Truths that it teaches--however its members are not. When I say that the Truths of the Church are perfect, I mean the Deposit of Faith--that is, the Sacred Doctrine and Tradition that Jesus gave to His Church are prefect and without error. In addition, all of the teachings of the Councils are also absolutely true and free of error, because of the Holy Spirit. HOWEVER, Church members THEMSELVES are imperfect and like all of humanity are prone to error. But here is the thing--Jesus gave His Holy Spirit to guide the Church until the end of time, so the Church has been and will always be free of any errors in Sacred Doctrine and Tradition. And this is where our complete faith lies, and NOT in the leaders or members of the Church. So, in other words, the Sacred Dogma's and Doctrines of the Church are and will always be true, and this includes all of the Vatican councils (including Vatican II), because God, through His Holy Spirit, will never allow the Church to teach error. So, we must always make the distinction between the Sacred teachings of the Church which a true and perfect. This, at least, is my understanding of what the Church believes in regards to the guidance of the Holy Spirit in the Church--keeping Its Sacred Doctrines free from error until the end of time. Good evening Tyler, I was reading your message here and I felt the need to add my personal experience on this subject as I'm an appointed exorcist for the Catholic Church, I was appointed in the ministry in 2009 and had some years of experience previously, and since the very beginning I was told that we have to help the Protestants pastors in this English speaking country were I serve,and it came as a surprise to me what I was told by more then one Catholic priest trained and appointed exorcist. I suppose that my shock came from been Italian, and not have met closely and Protestant pastor nor Anglican until moving to Ireland and UK. Short story the problem as was explained to me initially was " they do not practice much of this work because demons do not seams to obey to them and it seams to have to do,for what demons and colleagues says,with this exact thing that you mention.In a number of town I know for sure that some Franciscan friar is helping the local Protestants. There is not difference between cross and crucifix. I performed exorcism from demoniac possession with booth and the Lord our God in his mercy healed and Glory to Jesus for carrying the cross.the issues reported are always the same and that is why we know that is a serious issue: they do not invoke the saints as intercessors.while the ritual of exorcism for the Roman Catholic church suggest to start with a litany of saints and the implorations of God mercy before the imperative formula.they do not have much interess in heroic virtue of saints or martyrs nor do they profess aloud the immaculate conception or any titles of Our Lady..so I was told of a number of incidents which took place and this is a real problem. Tonight I came to give thanks to Saint Gemma for a great grace someone dear to me received 2 days before her feast day and I own a first class peace of her bone,and I put down that Grace to our Lady and Gemma. As you all know this year Annunciation feast was moved to April 9! So I wish to praise God and give thanks for the gifts to us of our Lady and Gemma! Last thing,as a member of the I.A.E. ( international association of exorcists) I read on our prayers that Gemma is one of our patron saints,but I didn't find this on your site nor often in internet and I hope that you may add this in because I believe that can help to honour her,such a small young girl who suffered soo much deserved to share this role with saint Benedict, who wrote the rules for monastic life and impacted Europe and the world soo much. I believe that it can inspire other young priests to respond to the call of this particular ministry to see that Gemma is now a saint and a patroness. Sorry for the misspelling, truly sorry,I do not use this sort of touch phone often and is 2.40 am..little light.. Apology for the typographic errors.